ST. PETERSBURG, Fla.—Minor League Baseball and Rawlings Sporting Goods Company, Inc., today announced the nine Minor League Baseball players who have been chosen as recipients of a Rawlings Gold Glove Award® for defensive excellence at their position. The winners, who were selected among qualifying players from the 10 domestic-based, full-season Minor Leagues, will each receive their own Rawlings Gold Glove Award, modeled after the iconic award given to Major League Baseball’s top defenders. This season marks the return of Rawlings honoring Minor League Baseball players for their defensive prowess. The St. Louis-based company named a Minor League all-star fielding team on the basis of official fielding averages for several years in the 1960s. The accolade was known as the Rawlings Silver Glove Award during this time. 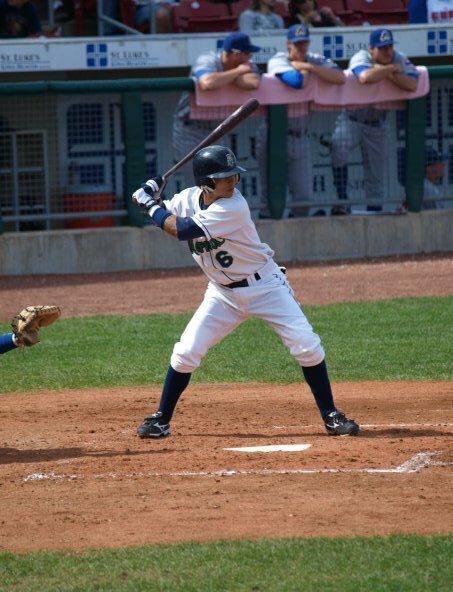 On September 30, 2007, Jamie Burke (Cedar Rapids Kernels– 1994) went 1-2 at the plate with a HR, two RBI and a sacrifice as the Seattle Mariners defeated the Texas Rangers 4-2. Jamie Burke hit .277 with 3 HR and 39 RBI during his 8 season MLB career playing for the Angels, White Sox, Mariners and Nationals. Jamie Burke was a member of the 1994 Cedar Rapids Kernels squad. Burke hit .264 with 1 HR, 24 doubles and 47 RBI in 127 games as the Kernels finished 77-62 under manager Tom Lawless. 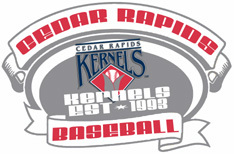 The Kernels defeated Springfield in two straight games in the opening round and then topped Rockford taking three of four games to win the 1994 Midwest League Championship. Jamie Burke returned to Cedar Rapids in 2012 as the Kernels manager during the final season of the Los Angeles Angels affiliation. Cedar Rapids finished with a 53-86 record. 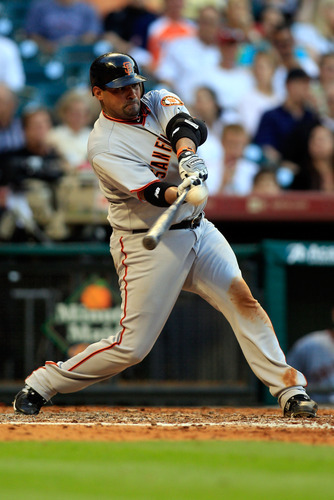 On September 29, 2009, Bengie Molina (Cedar Rapids Kernels – 1994-95) went 4-5 at the plate with two HR and four RBI to lead the San Francisco Giants to a 8-4 victory over the Diamondbacks. Bengie Molina hit .274 with 144 HR and 711 RBI during his 13 year career playing for the Angels, Blue Jays, Giants and Rangers. 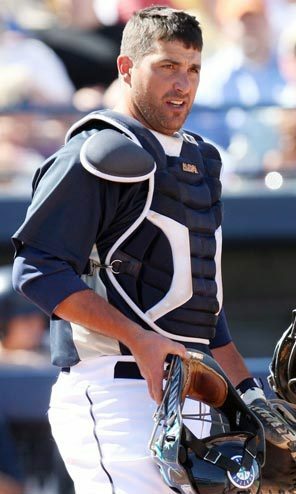 Molina finished fourth in the 2000 Rookie of the year vote and won Gold Glove awards in 2002 and 2003. He played in two World Series (2002 and 2010) and won a championship with the Angels in 2002. 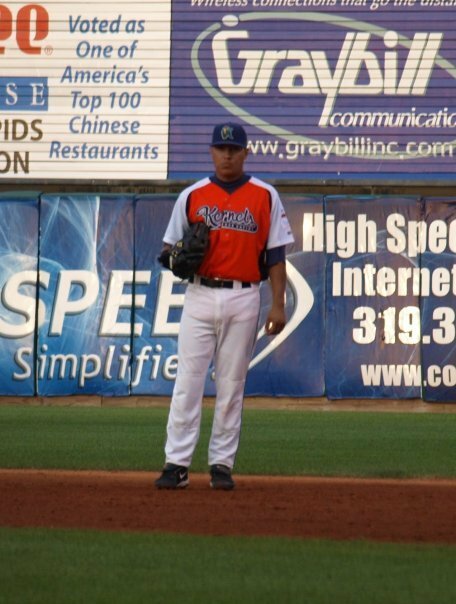 Bengie Molina was a member of the 1994 and 1995 Cedar Rapids Kernels squads. In 1994, Bengie Molina hit .281 with 3 HR, 8 doubles and 16 RBI in 48 games as the Kernels finished 77-62 under manager Tom Lawless. Molina and the Kernels defeated Springfield in two straight games in the opening round and then topped Rockford taking three of four games to win the 1994 Midwest League Championship. Molina returned in 1995 and hit .293 with 4 HR, 9 doubles and 17 RBI in 37 games before his promotion as the Kernels finished 76-62 under manager Tom Lawless. 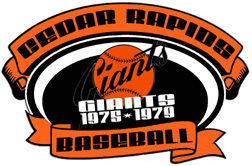 On September 27, 1980, Rich Murray (Cedar Rapids Giants – 1976-77) went 2-4 at the plate with a HR as the San Francisco Giants defeated the Atlanta Braves 2-1. Rich Murray hit .216 with 4 HR and 25 RBI during his 2 season MLB career with the Giants. Rich and his brother Eddie Murray (504 HR) are one of only two sets of brother to combine to hit more than 500 major league home runs. Tommie Aaron (Cedar Rapids Braves -1960) and his brother Hank Aaron are the other set of brother to achieve the feat. Tommie hit a total of 13 major league home runs, with eight of them coming in his first year of 1962, but along with his brother’s then Major League record 755 HR, they hold the Major League record for the most career home runs between two brothers (768). Rich Murray was a member of the 1976 and 1977 Cedar Rapids Giants teams. Murray hit .264 with 6 HR as the Giants finished 78-53 under manager Salty Parker before losing to Quad Cities in the opening round of the Midwest League playoffs. The 1977 squad finished 74-66 under manager Jack Mull before falling to Burlington in the first round of the playofss. Murray hit .275 with 21 HR and led the team with 94 RBI in 129 games for the Cedar Rapids Giants. 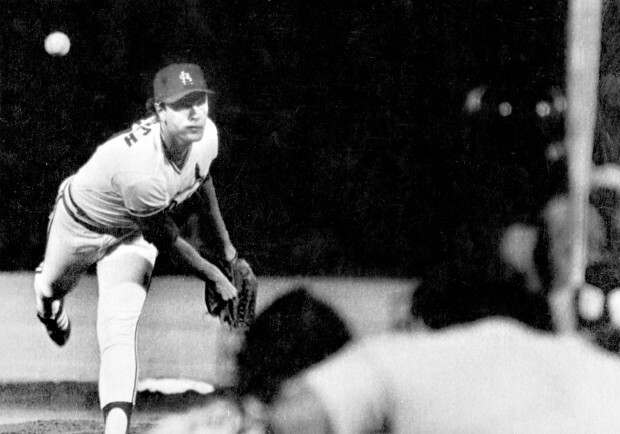 On September 26, 1983, Bob Forsch (Cedar Rapids Cardinals – 1970-71) pitched his second career no-hitter defeating the Expos 3-0. Forsch struck out six batters while allowing just two base runners in the game. He had thrown his first no-hitter April 16, 1978. 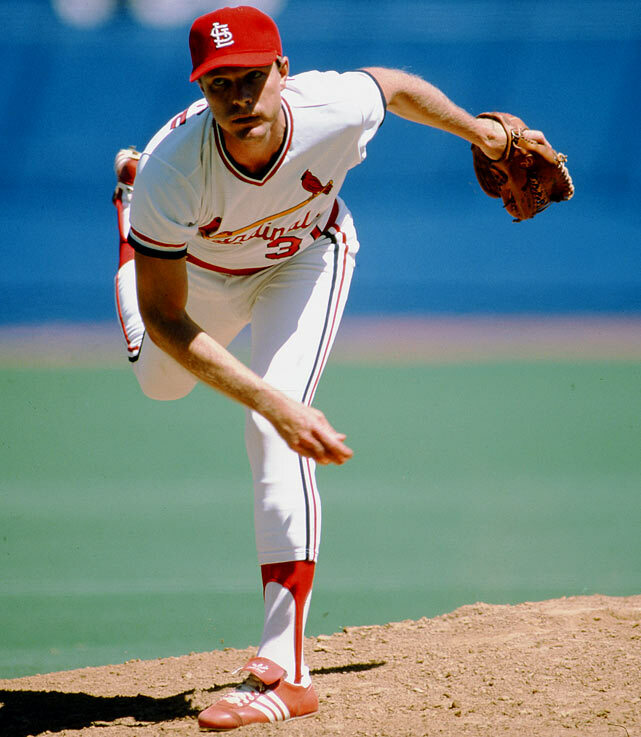 Forsch’s no-hitters were the only ones ever thrown at Busch Memorial Stadium. There are only three other Cedar Rapids Alumni with major league no-hitters (Allie Reynolds-2, Jerry Reuss and Ervin Santana). Bob Forsch posted a 168-136 record and a 3.76 E.R.A. during his 16 year career playing for the Cardinals and Astros. Forsch was a member of three World Series teams including the 1982 Cardinals championship squad. He won the Silver Slugger award in 1980 and 1987. Forsch has served as the pitching coach for the Billings Mustangs in the Reds minor league system from 2009-11. Bob Forsch played for the 1970 and 1971 Cedar Rapids Cardinals squads. 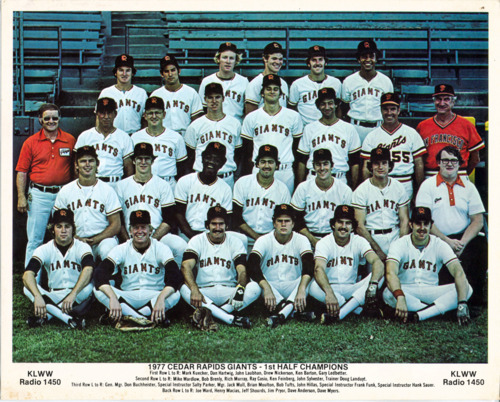 The 1970 team finished with a mark of 57-64 under manager Roy Majtyka. 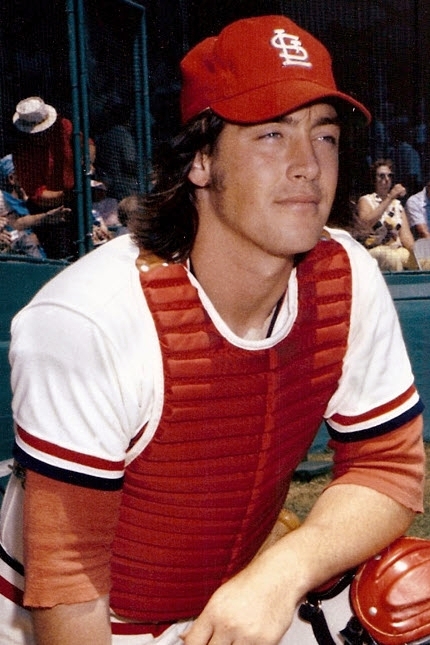 Forsch appeared in just a single game for the 1970 Cardinals. He returned in 1971 as the Cardinals went 67-53 under manager Bobby Dews. Forsch posted a 11-7 mark with a 3.13 E.R.A. in 23 starts. 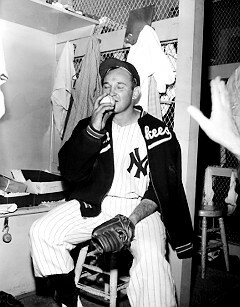 He struck out 134 batters in 158 innings of work. 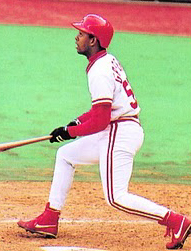 On September 25, 1980, Ted Simmons (Cedar Rapids Cardinals – 1967) went 3-4 at the plate with two HR, six RBI, a walk and scored three runs as the St. Louis Cardinals defeated the Pittsburgh Pirates 10-2. Ted Simmons, an eight-time All-Star hit .285 with 248 HR and 1389 RBI during his 21 year career playing for the Cardinals Brewers and Braves. Simmons retired with more career hits (2472) and more career doubles (483) than any catcher in the Hall of Fame. Simmons served as a member of the front office and field staff for the Pirates, Indians, Padres, Brewers and Mariners following his playing career. In 2011, he was a Senior Advisor to the General Manager for the Seattle Mariners. Ted Simmons was a member of the 1967 Cedar Rapids Cardinals team that finished 53-67 under manager Jack Krol. Simmons hit .269 with 4 HR and 11 doubles in 47 games for the Cedar Rapids Cardinals. On September 24, 1996, Willie Greene (Cedar Rapids Reds – 1992) went 4-4 at the plate with three HR and five RBI as the Cincinnati Reds defeated the Chicago Cubs 6-3. Willie Greene hit .234 with 86 HR and 307 RBI during his 9 year career playing for the Reds, Orioles, Blue Jays and Cubs. Willie Greene was a member of the 1992 Cedar Rapids Reds team that finished 82-56 under manager Mark Berry. The Reds topped Quad Cities in the opening round and defeated Beloit in the Championship series to take the Midwest League title. Greene hit .283 with 12 HR, 8 doubles and 40 RBI in 34 games for the Cedar Rapids Reds. 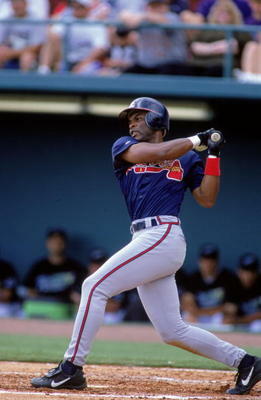 On September 23, 2000, Reggie Sanders (Cedar Rapids Reds – 1990) went 2-3 at the plate with a HR, a double, six RBI, a walk and scored two runs as the Atlanta Braves defeated the Montreal Expos 10-0. Reggie Sanders hit .267 with 305 HR, 983 RBI and stole 304 bases during his 17 year MLB career playing for the Cincinnati Reds, San Diego Padres, Atlanta Braves, Arizona Diamondbacks, San Francisco Giants, Pittsburgh Pirates, St. Louis Cardinals and the Kansas City Royals. Sanders played in three World Series (2001, 2002, and 2004). He was part of the Diamondbacks championship squad in 2001. Reggie Sanders hit .285 with 17 HR and 63 RBI for the 1990 Cedar Rapids Reds. The 1990 Cedar Rapids Reds squad finished with a 88-46 record under manager Dave Miley. Quad Cities defeated them in the opening round of the MWL Playoffs. 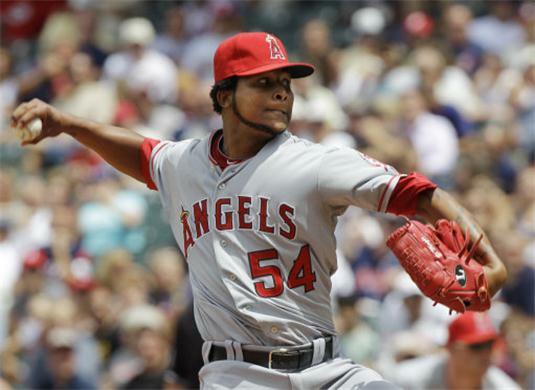 On September 22, 2008, Ervin Santana (Cedar Rapids Kernels – 2002) struck out nine in eight innings of work to lead the Angels to a 2-1 win over the Seattle Mariners at Safeco Field. Ervin Santana has posted a 96-79 record and a 4.30 E.R.A. during his eight year career thus far playing for the Los Angeles Angels of Anaheim. Santana was selected to the 2008 American League All-Star team and pitched a no-hitter on July 27, 2011. Ervin Santana was a member of the Cedar Rapids Kernels squad that opened New Veterans Memorial Stadium in 2002. Santana posted a 14-8 record with a 4.16 E.R.A. in 27 starts as the Kernels finished 81-58 under manager Todd Clauss defeating Quad Cities in the opening round and then losing to Peoria in the semi finals of the Midwest League playoffs. He struck out 146 batters in 147 innings of work in 2002.